A 24-year-old Canadian woman, whose photos went viral when she revealed that she had been subjected to a botched eyeball tattoo, has said that she is facing the very scary prospect of having her eye removed if her next round of medical treatments does not go according to plan. 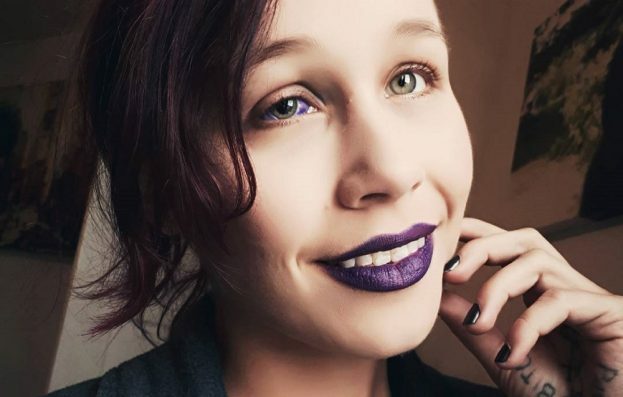 In a Facebook post made in September, body modification enthusiast Catt Gallinger revealed that her then-boyfriend had injected her eyeball with purple ink, in an attempt to perform a procedure known as scleral tattooing. In subsequent social media posts, Gallinger said that the surgery without sedation did not work, and that she was considering trying again with sedation, but that she currently cannot open her eye without “significant effort”, and that the process is beginning to wear on her. “My hope is gone. I’m very close to asking for removal,” she wrote at the time. “I’m so tired of it all.” She has not yet revealed whether she plans to continue with treatment or face the loss of her eye. Gallinger has said that she made her story public so that other people who are interested in body modifications like an eyeball tattoo do not just blunder into it and instead do proper research. “I am sharing this to warn you to research who you get your procedures by as well as how the procedure should be properly done,” she said. Health authorities in Gallinger’s home state of Ontario are calling for a ban on scleral tattoo procedures, unless performed by regulated health professionals. Following the passage of similar legislation in New South Wales, the Royal Australian and New Zealand College of Ophthalmologists has called for a ban Australia-wide.